During Past Lives Project Nottingham we held photo scanning days at Lakeside Arts Centre and Beeston Church Rooms, all photos digitised will be permanently archived with Picture The Past, the county archive for Derbyshire and Nottinghamshire. This slideshow below is from photos brought into our heritage sharing days by Thelma Summers. The photos feature the lives of her parents Jess & Lily Smith, also family photos and Jess’ twin sister Elizabeth known as Sis from Beeston in Nottingham and the photos are from the 1920s to 1980s; there are individual photos pre-wedding, their wedding and their honeymoon in Bridlington. Since digitising these photos at Past Lives Project events we have sent digital copies to the county archive for future generations. 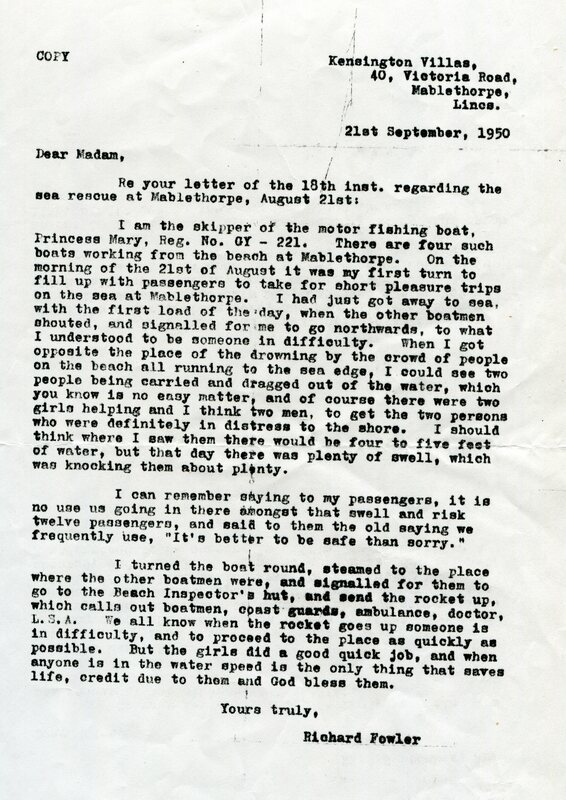 Thelma told me of an amazing story when her father Jess and his brother in law on one of their regular family holidays in Mablethorpe saved the life of a drowning man, Jess nearly drown in the process, luckily he recovered and went on to holiday again in Mablethorpe for many more years. 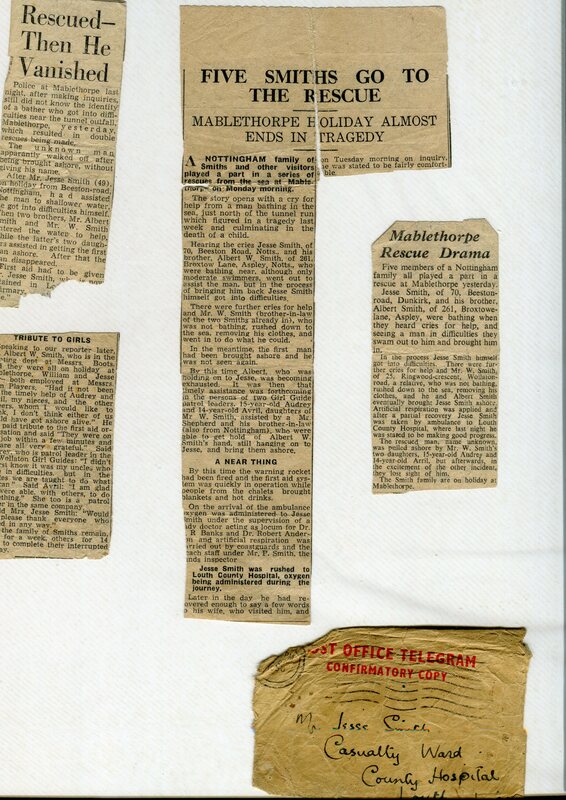 Thelma brought in the newspaper clippings from the event to be digitised, and a letter from an observer on the day. The photo above was taken of the family in Mablethorpe once Jess was recovered and out of hospital, his brother in law Albert on his left. We’re incredibly greatful to Thelma for sharing her family history with us and allowing a digital copy the photos to be placed in the county archive. 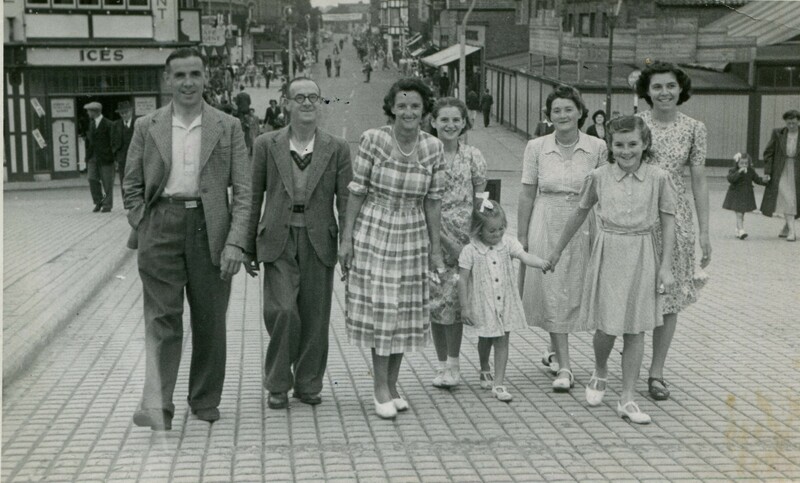 Capturing the stories of everyday life of a town is incredibly important to Past Lives Project, helping us capture stories and social history which might otherwise be forgotten.